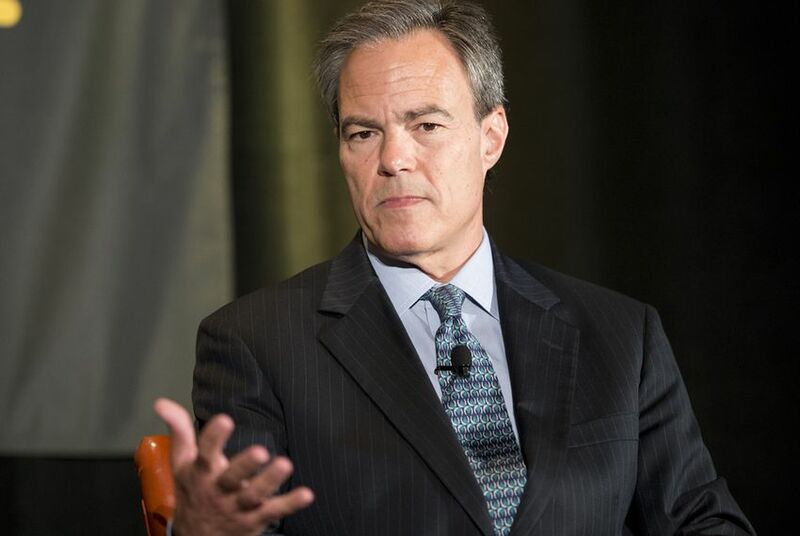 Speaking at the University of Texas at Austin on Saturday, House Speaker Joe Straus said he's "awfully sick" of the drama between regents and legislators that is making it the "only campus in the state of Texas that gets this much attention." "I think we're hopefully about to work our way through this," Straus, R-San Antonio, said in an interview at The Texas Tribune Festival, suggesting that a new governor would appoint some new regents. "I hope that a new governor ... will be mindful of where we've been. I think we'll find, the regents will find, that the Legislature wants a better relationship with them." Straus was referencing an ongoing faceoff between a House committee that voted to admonish and censure University of Texas System Regent Wallace Hall — who was waging a personal investigation into lawmaker influence in the UT-Austin admissions process — and system regents. The UT system has commissioned an outside review of those same types of allegations. Straus, who has acknowledged writing letters on behalf of applicants he saw as qualified, said he hopes the state isn't headed to a point where students don't want lawmakers to recommend them. He called the allegations of improper legislative influence in admissions "a manufactured issue." Higher ed wasn't the only topic Straus touched on Saturday. Asked about whom he might support in the 2016 presidential cycle, Straus wouldn't say directly, but hinted strongly that he was a big fan of former Florida Gov. Jeb Bush, and added that the Bushes were close family friends. On his own political ambitions, Straus wouldn't say how long he hopes to stay in his position. But he added that he's hopeful that he'll be elected to a fourth term — and acknowledged that his early challenge, from state Rep. Scott Turner, a Frisco Republican — was "a little distracting" from legislative business. He also said that while outside groups have begun to play an outsized role in Texas politics, inside the Texas House, partnerships and relationships are the same as they've ever been. One thing that could be different in the upcoming session, Straus suggested, is how the Legislature decides which news organizations qualify for media credentials. He said he'd like to see a press committee get involved in devising new rules for reporters. "Those that have a political point of view, that then engage in campaign politics, are political consultants during the off year, maybe fit under a different definition," he said. Correction: A previous version of this story said UT system regents had commissioned an external investigation. The UT system commissioned the investigation.